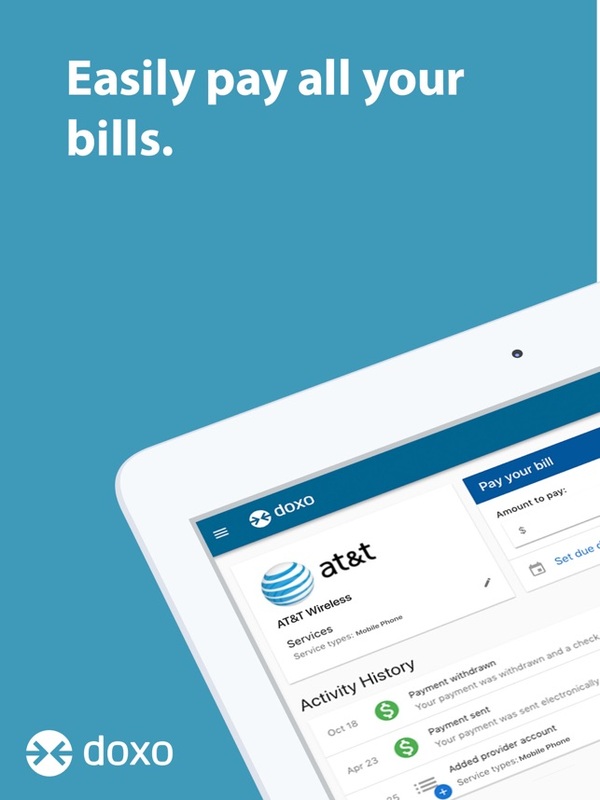 In the fast moving world what could be more beneficial service than to pay your bills on the go. Well, that facility you can attain with the doxo application. You can pay bills for your mobile phone, credit and debit card with just few easy steps. With the help of this application you can save your time and don’t even have to deal with lots of paperwork which is very hard to manage. You can avail the facility of this application on your android as well as iOS phones. How this app is beneficial for you? With the help of this application you can also receive notifications about bill payments right on your mobile phones. This feature will make it easy for you to get a track about your dues which will help you to make payment in time and avoid any hustle. With the help of this application you will be able to manage payments for multiple websites by creating single username and password. Furthermore, with the help of this impeccable mobile application you get an embedded option for bill payment in the receipt which you will receive on your mobile phone. With the help of this application you can easily maintain backups for the bills you have made payment for. You just have to take pictures of the bills and have to upload them on the application’s digital cabinet which will store your payment details for future references in a safe manner. Though this application help business houses to save considerable amount of money on paper bills but you can also download the application for free from several online app stores. This application is beneficial for different types of industries viz. telecom, healthcare, insurance, finance etc.